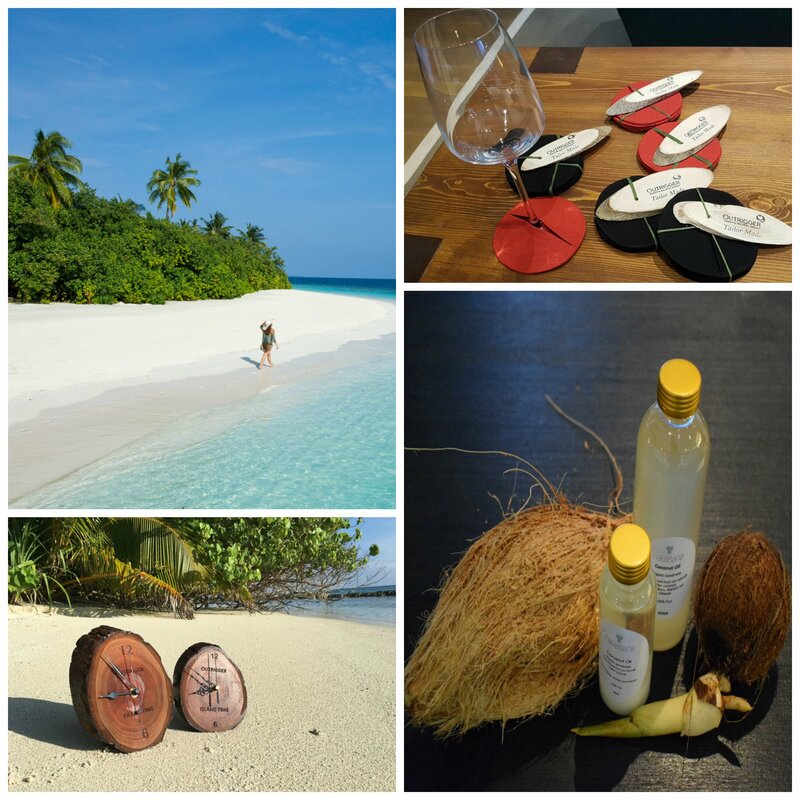 KONOTTA, MALDIVES –This April, the Navasana Spa at Outrigger Konotta Maldives Resort celebrates one year of producing its own coconut oil on the island. The coconut oil is all-natural 100 percent pure, made by the spa’s therapists who handpress it from the naturally fallen mature coconuts around the island. The oil is used in an increasing number of treatments at the resort’s Navasana Spa. It is also popular with guests as a healthy product to take home. The oil is rich in fibers, vitamins and minerals. It can be applied externally or ingested to achieve various beauty, health and comfort benefits. It takes approximately 50 mature, fallen coconuts to make 5 lbs of pure coconut oil. Over the last year, the staff has perfected the process which involves gathering, dehusking and shredding the coconuts. They then squeeze the milk-juice from the grated coconut and discard the residue. Indigenous Konotta coconut oil is proving popular with visitors to the resort. They take it home as a souvenir for US$18 for a 3.4 oz bottle or US$32 for a 8.5 oz bottle. To celebrate the first anniversary of coconut oil production on Konotta island, the Navasana Spa at the Outrigger is offering a free 30-minute massage for two and two 3.4 oz bottles of Konotta coconut oil for guests who book a Maldives holiday on outrigger.com. The offer is exclusive to outrigger.com bookings only. Click here to find out more.